Discover the delights of Deep Cove by visiting Honey’s, a local café that feels just like home. Come on in and feast on freshly made fare, and our mouth-watering world famous doughnuts. Feeling the buzz as you enter our bustling café, we offer a wide variety of breakfast options made with free-range eggs, sandwiches made on our tasty vegan potato bread, homemade soups, hearty salads, and so much more. We also offer gluten-free options. Top off your meal with a specialty beverage, with espresso from JJ Bean and coffee from Canterbury, and enjoy our one-of-a-kind doughnuts. Eat in or take it to go! Since 1996, Honey’s has been the hive of Deep Cove. 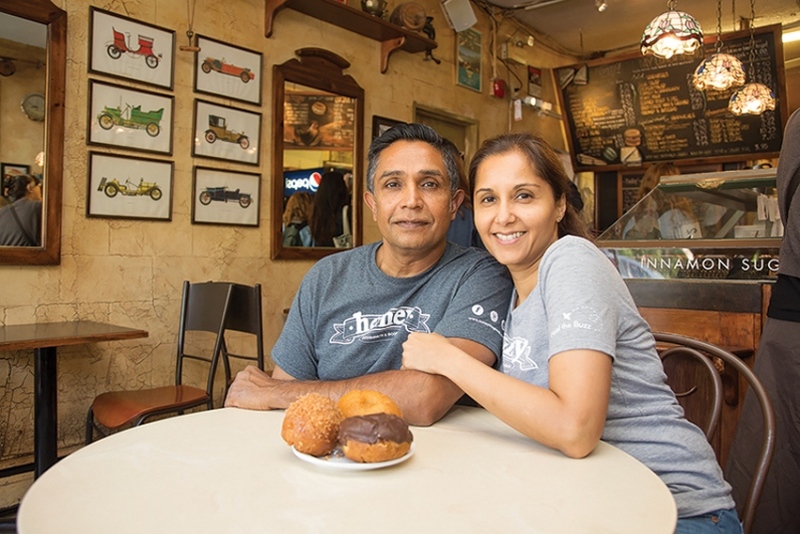 Owners Ashak and Ashifa Saferali are personally invested in ensuring that customers feel comfortable and at home, and as a result, they have become a community hub for locals and tourists. COPYRIGHT 2019 HONEY DOUGHNUTS & GOODIES. ALL RIGHTS RESERVED.